If you are a new business or start-up business you are probably looking to keep your overheads down and having a new business or start-up business bank account is one way of doing this. This guide gives you the details for the best deals for new business and start-up business bank accounts from the leading banks through to the lesser known providers. Some of the features and benefits of Cashplus’ business bank account for new businesses. The Award winning alternative to High Street Banks. Cashplus makes opening a business account simple through using only doing quick and basic checks that allow them to give an instant online decision and set up the account straight away to allow you to accept payments the same day. Cashplus have designed their business bank accounts for small businesses and have tried to remove some of the red tape that comes with the High Street banks. As part of this Cashplus has a business banking app that allows its customers to access their account 24/7. The table below gives a quick price comparison of the top UK new business and start-up business bank account providers. Some of the features and benefits of Lloyds Bank’s new business and start-up business bank account. 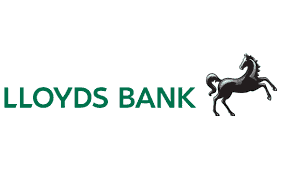 Lloyds Bank is dedicated to support new businesses in getting started and to grow and they offer a range of support guides and tools. To help new businesses they offer a free introductory day-to-day business account. To be eligible the person opening the account needs to be a sole trader, partner or company director. At the end of the 18-month free banking period, your account will be moved on their standard business current account tariff which has a monthly account maintenance fee of £6.50. This account still offers several free transactions including electronic payments, cash withdraws from a cash machine and paying by debit card. Some of the features and benefits of Metro Bank’s new business and start-up business bank account. Metro Bank aims to be different to the other high street by offering greater access to its services through extended store opening hours, 24/7 telephone banking with a UK call centre, online banking and mobile app. Their smaller business banking account caters for sole traders to SMEs including new businesses that are only just getting set up. They have designed their bank account to help new businesses get started and help businesses grow. They offer free banking to those who maintain more than £5,000 in their bank account throughout the month as they waiver the account maintenance fee and give 50 free transactions each month. A fee of £5 per month is applied each month that the balance goes below £5,000. Some of the features and benefits of Bank of Scotland’s new business and start-up business bank account. Royal Bank of Scotland offers 18 months free day-to-day business banking for new start-up businesses on their current account. After the free banking period ends there is an account maintenance fee of £6.50 per month but you still benefit from free electronic payments, cash withdrawals from cash machines and debit card payments. To be eligible for this offer your business must have an anticipated turnover under £3 million per year. Royal Bank of Scotland aims to support their new business start-up customers and fledgeling businesses through their pledge to help support Scottish businesses grow and thrive. They have online support tools and resources as well as a business mentoring programme. Customers will also have access to their Business Resource Centre. Some of the features and benefits of Barclays’ new business and start-up business bank account. Barclays offers new start-ups help through a combination of free day-to-day business banking for 12 months and support. Barclays help new businesses by giving them access to business banking advisors both in branch and over the phone. They provide guidance tools and support as well as access to the Enterprise Finance Guarantee which is a government scheme to help certain businesses that struggle with inadequate security. Once the free business banking period ends you can select one of two accounts that cater for different banking usage. Mixed Payments Plan is for businesses that use cash and cheques to make and receive payments. e-Payments Plan is predominantly for receiving and making payments electronically. Barclays also reward loyalty through paying back a proportion of your monthly fees based on the length of time you have banked with them. Some of the features and benefits of Yorkshire Bank’s new business and start-up business bank account. Yorkshire Bank offers one of the longest free day-to-day business banking deals in the market with them offering not only new start-up businesses the longest period of 25 months free, but they also offer this deal to all new customers. The free day-to-day banking includes most transactions up to a set limit but excludes transactions such as international payments and CHAPS payments. At the end of the free period transaction fees will start for all types of transactions starting at 30p and the monthly account maintenance fee is £5 per month. Yorkshire Bank also offers a range of support tools and guidance for small businesses and start-up businesses that are aimed at helping them grow. Some of the features and benefits of HSBC’s new business and start-up business bank account. HSBC offers new business start-ups free day-to-day business banking for 18 months. At the end of the free banking period, you will be switched over to their 12-month fixed tariff account which fixes the account fee at £5.50 with no transaction fees except for if you deposit more than £3,000 cash per month. After this 12-month period, you will then be moved onto one of their two business current accounts, either Electronic Banking Tariff or Small Business Tariff where the account maintenance fee remains at £5.50 plus the transaction fees for that account. HSBC aims to help new businesses to get established and grow with additional financial support and advice to get your business open for business. They also have guides and tools to help your business develop and grow and will conduct a face-to-face business review. Some of the features and benefits of TSB’s new business and start-up business bank account. TSB’s free business banking offer is eligible to sole traders, partners and directors that are over 18. Sole traders with a turnover of less than £125,000 can open their account in one of the local branches. Account holders must operate within the agreed limits and not go overdrawn without prior agreement. TSB will give you support through their relationship managers to help you get started and develop your business with services from deposits through to loans. They give you a choice of current account tariffs so that you can select which of the tariffs will work best for your business’ needs. Some of the features and benefits of Santander’s new business and start-up business bank account. Santander offers a free business banking period for new business start-ups that is for 12 months, but they also offer an additional 6 months free if you are already a customer with a 123 World, Santander Select or Santander Private customer. At the end of the free banking period, you will be charged a month account free of £7.50 which includes all electronic transactions at no cost. For the 16 years, Santander has been awarded the Best Business Current Account Provider by Moneyfacts. 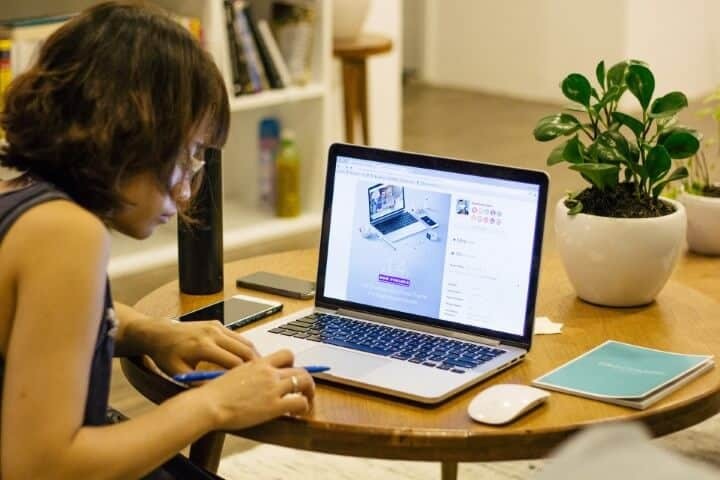 They provide their customers with a online business support which will help them grow their business and help assist you with focusing on the right things. Some of the features and benefits of NatWest’s new business and start-up business bank account. NatWest offers new business start-ups free banking for 18 months as long as their business has been running for less than 12 months and has a projected annual turnover of less than £1 million. Customers also have to eligible to be self-employed in the UK and be over 18 years old. NatWest’s business bank account also gives its customers a wide range of choices of how to bank through their servicing hub which allows you manage all your NatWest financial services in one place. Access to your accounts online, over the phone and through the mobile banking app. Alerts can also be set up for email and text. Some of the features and benefits of Royal Bank of Scotland’s new business and start-up business bank account. Royal Bank of Scotland offers new business start-ups 24 months free day-to-day business banking. To be eligible for this banking offer your business needs to be under 12 months old and have an anticipated annual turnover of below £1 million. You will also need to be over 18 and be eligible to be registered as self-employed in the UK. They aim to assist new start-ups with their easy access banking service which gives customers access to their account online, over the phone, mobile banking app, and text and email alerts. They have a servicing hub which allows customers to access all their Royal Bank of Scotland financial services in one place. Some of the features and benefits of Ulster Bank’s new business and start-up business bank account. Ulster Bank is a dedicated bank for Northern Ireland, so all business customers must reside in Northern Ireland. Ulster Bank supports new businesses through its start-up package which is available to businesses that are registered in Northern Ireland, have been operating for less than 12 months and have a projected annual turnover under £1 million. Ulster Bank offers eligible customers 18 months free day-to-day banking. Ulster Bank understands that small businesses need to focus on their work and that taking time out for banking is not easy. To help Ulster Bank allow new customers to apply online and give them access to their account 24/7. Some of the features and benefits of Clydesdale Bank’s new business and start-up business bank account. Clydesdale Bank offers new business start-ups a big helping hand by offering one of the longest free day-to-day business banking periods in the market. This gives customers practically free banking for 25 months. The only charges are associated with cash deposit and withdrawals over £250,000 per year, and all international payments and CHAPS payments are chargeable. To be eligible your annual turnover must be below £2 million and must have been trading for less than 12 months. 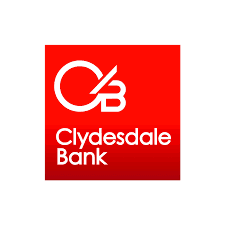 Clydesdale Bank has made their account easy to manage with internet banking and a mobile app to help give businesses access to their banking services at convenient times. They also have a range of business support tools for new business start-ups to help them get started and to grow. Some of the features and benefits of Bank of Ireland’s new business and start-up business bank account. Bank of Ireland has created a dedicated bank account with extensive support to help new businesses to get started and grow. They give new businesses 24 months free day-to-day business banking which at the end of the free period they will be switched to their business current account that encourages the use of smarter banking to reduce the charges incurred on the account. Bank of Ireland offers its new business customers access to a wide variety of support which includes access to their own services, tools, guides and expertise, as well as collaborating with other providers to give them access to further support. This includes their collaboration with FCR Media which offers custom built web pages, domain name registration and GoldenPages listing.